Here is a list of hostel-style (dorm) accommodation for Greek Island hopping. Not all of the places listed below are "hostels" but are as close as can be found. Expect to pay around €7 to €12 per night for a dorm bed (in 2010), though sometimes it is more expensive in the most touristy places like Santorini and parts of Athens. 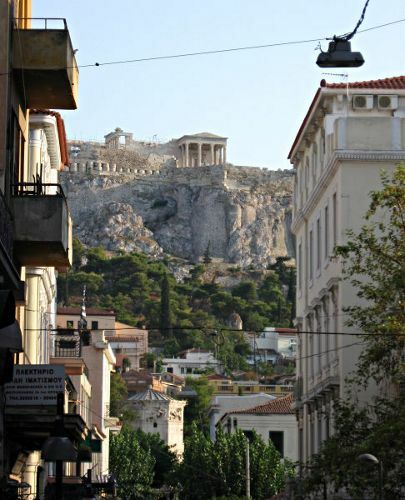 There are many hostels in Athens, including the Pagration Hostel and the Athens Backpackers Hostel. In Thessaloniki, try Backpacker’s Refuge Thessaloniki. There are also two other properties in Thessaloniki with dorms: Studios Arabas and Rent Rooms Thessaloniki. If traveling between Greece and Italy by ferry, you might find yourself in Patras. There is a Patras Youth Hostel at 62 Heroon Politechniou Str., but call before arriving to make sure it's still open. Telephone: +30 2610427278. I highly recommend YH Plakias in the south of Crete -- one of the world's best hostels. In Iraklio, I highly recommend staying at Rent Rooms Hellas at Handakos 24, Tel: +30 2810 288 851. There is also a place in Iraklio called Heraklion Youth Hostel at Vironos 5, but read the reviews first. Telephone: 2810 286281. I recommend Rent Rooms Hellas, mentioned above, instead. The Rethymno Hostel is well run and in a good location. 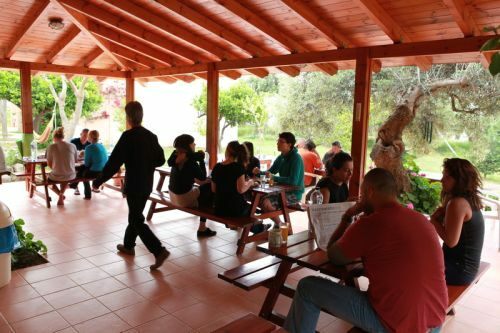 Youth Hostel Regina is located in Agios Nikolaos in the eastern part of Crete. The price was €15 for a 2-bed dorm in 2010. There used to be a hostel in Sitia, but it has closed. Check out the excellent Soula Hotel at St. George's Beach. They usually have a van waiting at the port when you get off the ferry. 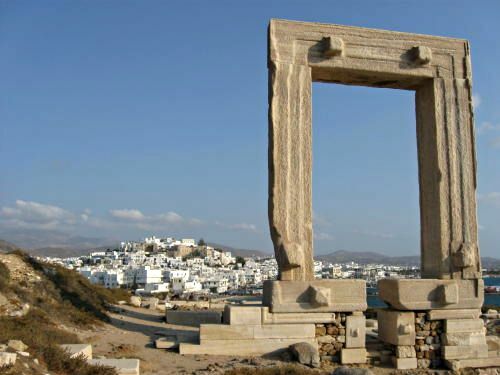 There is a hostel in the north of Paros Island called Young Inn Naoussa. In the main port town of Parikia, try Ampeli Studios. Camping Naoussa also offers dorm bed accommodation. 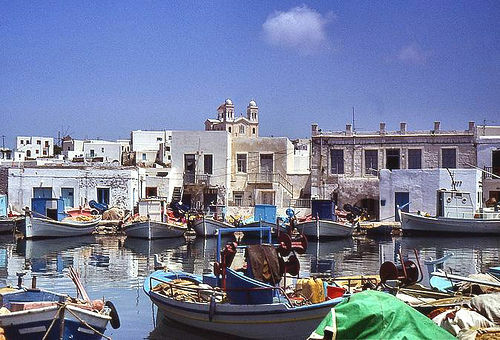 Youth Hostel Oia is well-run and in a great location (€15). 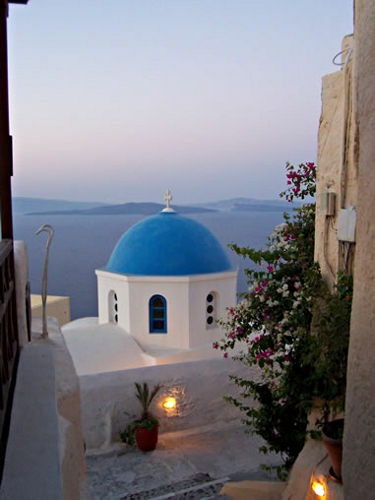 The friendly Santorini Hostel Kykladonisia is conveniently located in the main town of Fira (€25). Youth Hostel Anna is in Perissa Beach and is the cheapest option at €7. I think it's geared more towards a younger crowd. The old "Fira Youth Hostel" has closed. There is a Paraga Beach Hostel in Mykonos. I haven't been there, so read the online reviews before booking. A traveler told me she paid €10 for a dorm in a bungalow. 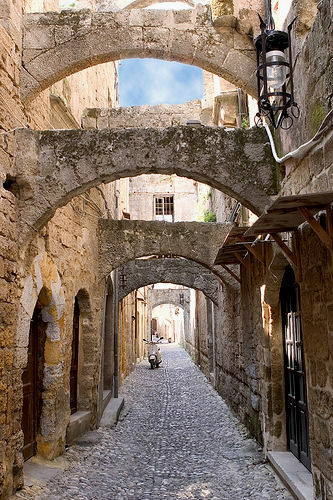 There is a Rodos Youth Hostel in the old town. Address: Ergiou 12, Rhodes Town, Tel: 22410-30491‎. It's in a fantastic location right inside a UNESCO World Heritage Site. 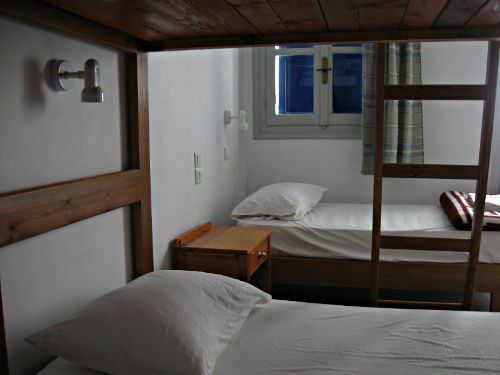 The price in 2010 was €10 per night for a dorm bed. Several years ago, there were at least two places renting out dorm beds in Kos, though I wasn't able to find any current information online. If you know of other hostels in the Greek Islands, please leave a comment below and I'll add them to the list.